When you are searching for a specific good or service, how do you approach this process? Do you call your friends and ask for their opinion? Do you speak with your coworkers? Perhaps even look online to see what type of information you can find? It’s no different for individuals seeking medical or dental care. In addition to speaking with personal connections, many people take their first steps by researching the doctor and practice. Then, they read online patient reviews to help shape their decision. Online reviews are an incredibly powerful way to influence future patients, as these comments help people understand what their experience at your practice may be like. Although your online reputation might seem minute, the truth is, it speaks volumes about who you are as a practitioner. The marketing gurus at Rosemont Media have outlined two essential tips below that can help your practice generate good reviews from patients you treat. More often than not, an unhappy or disgruntled patient will be the one to write a review about their experience. Ensure you are providing every individual with a great experience each time they interact with your office. Besides the tangible care you are providing as a practitioner, customer service goes an incredibly long way into forming an opinion; from the first phone call of interest to your front desk, to the in-person consultation, to the patient’s final follow-up appointment. All of these experiences will ultimately shape what the individual thinks of your practice, its people, and you as a medical or dental professional. If your patients are happy with the service they have received, they are likely already talking about it to their friends and family. Why not ask them to take it one step further and post a review online? Reputable websites your patients can leave their feedback and comments on include Google, Yelp, RealSelf, and Facebook. One way to encourage patients to take this sort of action is Rosemont Media’s Review Generator tool, which sends selected patients a text or email prompting them to write a review. It also keeps track of the requests your staff members send out and can be beneficial in organizing reviews from patients that visit various practice locations. After a patient writes a review, you may consider sending a handwritten card from your office thanking them for their patronship and thoughtful words as a nice follow-up. So You’ve Gotten a Few Good Reviews—Now What? Once you get good reviews, it is important to keep them in well-seen locations. Fortunately, using our Rake and Sprinkler products can help do just that. The Review Rake is an advanced software that automatically scans your reviews and plucks the most notable ones to publish to your practice’s website. It will also display an up-to-date average rating based on various review sites. This product pairs well with our Review Sprinkler, which will “sprinkle” reviews written about specific procedures on the most relevant pages of your site. As a result, when someone is reading about a treatment on your website, an exceptional patient review for that procedure can be featured on the page, potentially influencing their decision. In its entirety, managing your online reputation can seem overwhelming. Industry standards are constantly evolving, along with the ideal digital platforms and new tools on the market. 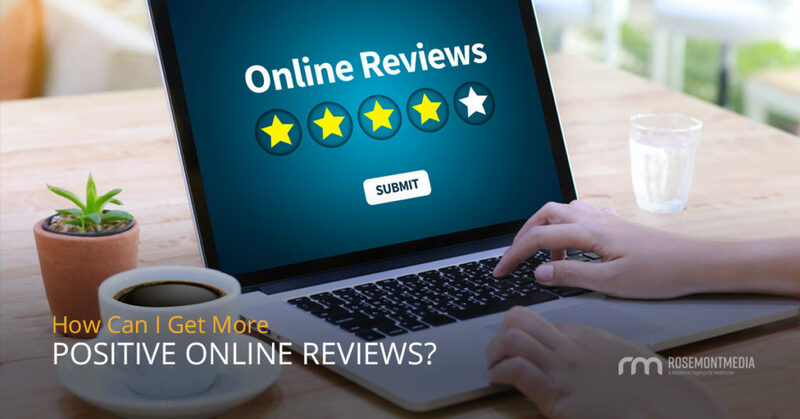 By taking control of your online reputation now, you can maximize the quality of reviews your potential patients will see. If you are interested in entrusting Rosemont Media with your online presence and gaining access to our unique and creative digital strategies and tools, please contact us today. Born in San Diego, Kait Freeberg is incredibly fortunate to have lived all over the Golden State. 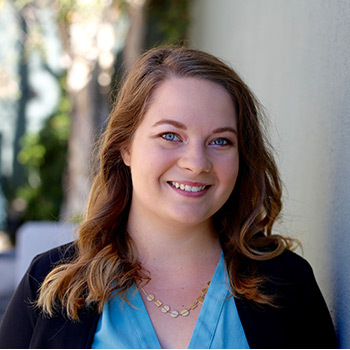 She earned a journalism degree from Cal Poly San Luis Obispo and considers herself a Mustang for life. In her free time, she enjoys attending alumni events with friends, cooking for her fiancé, and sweating it out at Orange Theory-La Jolla. She is at her best after two cups of coffee, while listening to her cultivated “Lorde” Pandora station, and working in a fun environment. Her guilty pleasures include enjoying a slice from Pizza On Pearl, endlessly watching Gilmore Girls reruns, and drinking too much red wine.